After the widespread backlash received by the 2016 Academy Awards, prompting many of the biggest names in entertainment to boycott the show and the creation of the hashtag #OscarsSoWhite, all eyes were on this year’s Emmy awards to see just how much diversity would be reflected in not only the attendees, but in the winners honored for their contributions. As a medium, television has entered into something of a golden age, with shows of every genre pushing boundaries and challenging the exact problem — lack of diversity — that has been illuminated at the Oscars for the past several years. Thanks to streaming services like Netflix and Amazon, network TV has been stepping it up to be more inclusive of diversity in all forms, from race to gender and everything in between, but were the 2016 Primetime Emmy Awards reflective of those changes? Happily, it seems the 68th annual television ceremony reflected the crucial shift we've been slowly seeing on our TV screens, and it's a refreshing change after the disappointing Oscars didn't quite do the same for film. That optimism and spirit is definitely what set the Emmys apart from this year’s Oscars, and will hopefully continue to become the norm not only just in television, but in film as well, which still seems to be unfortunately lagging far behind, according to CNBC. 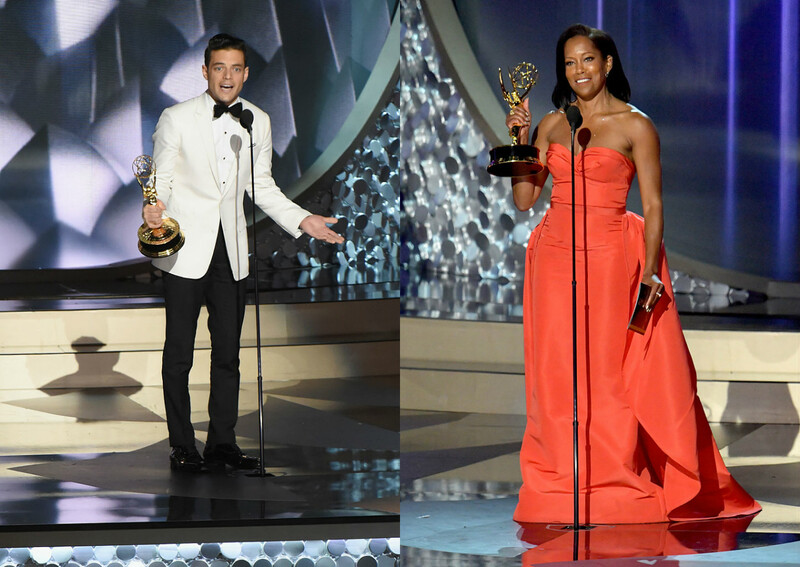 Still, viewers are happy to see a shift that reflects all people in the United States on TV and at this year’s ceremony, as they expressed on Twitter during the show, using the hashtag #EmmysSoDiverse. Here’s hoping that someday in the future, diversity will become the norm across all media, and not just in mainstream television.